Step 1: Grab a trail map. They will be available on site. These are super easy to follow and will help you navigate out and back. Step 2: Grab a buddy. Buddy system only! We much prefer that no one venture out solo for safety purposes. Step 3: fill up your camel pack or water bottle and make sure your gas tank is full. There are so many fun trails to explore and some can be quite a trek. Pack a snack, stay hydrated and have some fun! For Beginner riders there is only 1 way to leave Quail Canyon and that is on North Pronghorn Trail. Please do not take South Pronghorn as you will encounter a salt rock wall climb that is actually super fun but not meant for beginners by any means. I have included a video of North Pronghorn Trail so that you can see what it is like. 2. South Pronghorn: Chill but has a salt rock wall climb that can hold people up a bit. 3. Quail Pass Trail: hill climb that takes you up and over the ridge. I have been on a dirt bike less than 5 times. I am not fully comfortable operating a dirt bike yet or do not know how to at all. I recommend spending your time on the beginner track and trail loops within the Quail Canyon Event Area. You will get plenty of action and experience a variety of terrain. Plus you are close to camp! Both the North Loop and South Loop within Quail Canyon are 2-way trails so if you encounter anything that you feel uncomfortable with you can simply turn around and go back the other way. Easy! I know how to operate a dirt bike. I am comfortable with shifting and braking. I am comfortable off-road but am still learning how to ride different terrain. If you want to head out and see some of the trails around the park definitely stick to the clearly marked GREEN trails. If you leave camp make sure and take the North on Pronghorn trail. It is the easiest way in and out of camp. See video below to get a visual of what that trail is like. From North Pronghorn Trail you will connect to Powerline Road which is the easiest trail in the park. It is essentially a fire road but highlights some really amazing views and will connect you to the rest of the trail systems in the park! The only thing to make sure and watch out for is on coming riders and sometimes jeeps or buggies. Any of the GREEN trails that shoot off Powerline are great loops! If you stay on Powerline and cross over the paved road there are some absolutely stunning views! My favorite green trail in the park is Old Cottonwood Trail to Meadows Trail. The views up there are rad and Cottonwood has some fun switch back turns! If you do head out onto the trails in the park just remember that Powerline will take you back to Pronghorn and back to camp. 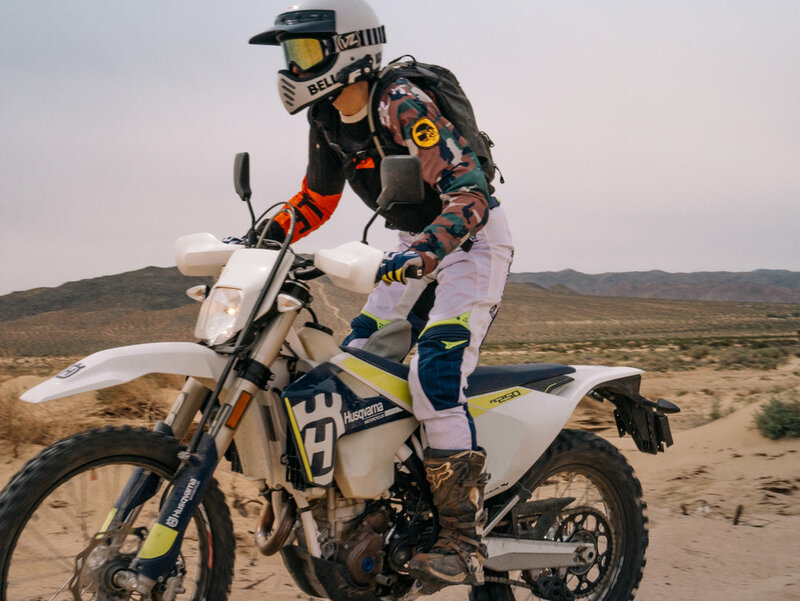 If you have been riding for a while and are super comfortable with shifting and breaking and operating your motorcycle in general than you might be getting bored with the GREEN trails. If so then I would recommend easing yourself into an BLUE (intermediate) trail. A lot of the trails that are marked BLUE in Hungry Valley SVRA are marked as such because of a semi rugged section such as sand wash or hill climb section OR it is a narrower trail with a drop off along the side. You may be surprised how chill the BLUE trails are. If you are comfortable in sand, switch backs, narrower trails and hill climb section then you will have a blast on the BLUE trails in the park. Nearly all of the trails within Hungry Valley are 2 way trails unless otherwise marked. So… if you do try an intermediate trail and encounter something that you don’t like, you can easily turn around and go back the way you came! I am very comfortable operating a dirt bike. I am very comfortable in a wide variety of terrain. These are not super technical but have a ton of fun switchbacks and up hills and down hills. The middle wall hill climb is super smooth and fun to climb. You just want to make sure and let off when you get to the top so you don’t send it over the other side. The Quail Canyon Moto X track is really fun with mostly table top jumps that you can easily roll if you want to or gas it and get a little boost. Well if you consider yourself and advanced rider than you can easily tackle any trail in the park. There is really nothing too savage in Hungry Valley SVRA in my opinion. Most of the black diamond trails are marked as such due to the fact that they go along a cliff or are single track. They are all fun and thrilling in their own way. It's HERE !!! Babes in the Dirt Merch !!! We will have some fresh new Babes in the Dirt gear for this weekends 4th annual event. We can't wait to see ladies rocking it! Behold, the complete Babes in the Dirt 4 schedule of events. Sena will be coming out to Babes in the Dirt 4 this year with some sweet raffle prizes including the 10C and the 10R. Here are 5 reasons why these items have become a part of every ride. 1. You can connect with your riding buds to make sure no one gets left behind on the trails. 2. 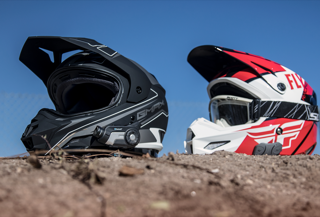 For us dual sport ladies it is easy to connect it to your phone to listen to directions if you are routing somewhere. 3. When you are hitting the track you can listen to music and find your rhythm. 4. You can video record your epic trail rides and show your friends all the fun they missed out on. 5. You can easily hear when the camera is recording or not through the speakers in your helmet. No more missing that section that you thought you had recorded but accidentally didn't. A couple of lucky ladies will be taking home a new 10R or 10C from Babes in the Dirt 4!!! Thank you Sena! 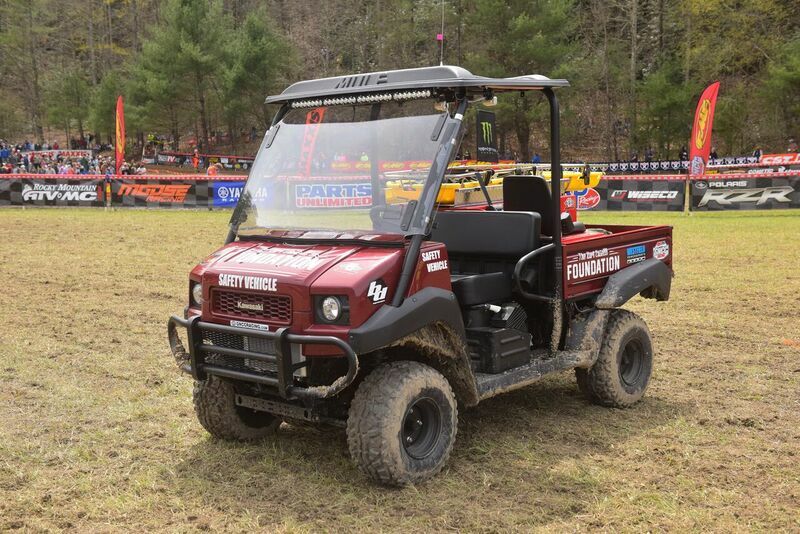 We are honored to announce that Kurt Caselli Foundation will be partnering with us for Babes in the Dirt 4 to provide an on site ambulance throughout the weekend. We are so grateful to have the support of such an amazing organization! Having an ambulance with 2 trained paramedics on site this year allows us to treat any minor injuries on site and ensure speedy treatment for any more serious injuries. They have also included yellow caution flags to flag any hazzards on the track. Thank you so much to KCF! We have listed some tips and tricks to keep you safe throughout the weekend and make sure that you don't get to meet the paramedics. 1. Ride your own ride! Make sure you are not riding over your head or on terrain that you are not comfortable on. 2. The vast majority of trails at Hungry Valley are 2 way trails. Take the corners slow and keep an eye out for on coming bikes, buggies, jeeps etc. 3. Buddy system: never hit a trail on your own. Ride together to make sure everyone gets back to camp safely. 4. Post your turns: If you are leading a ride, make sure to stop and wait at any fork in the road s that the rider behind you sees which direction you go. 5. All the gear all the time! Proper riding gear can mean the difference between a broken bone and a light bruise. Gear up! Kurt Caselli is among the most decorated off-road motorcyclist in history; his career highlights include three AMA National Hare and Hound National Championships, three championships in the World Off Road Championship Series (WORCS), AMA Sportsman of the year in 2007, and multiple International Six Days Enduro medals. After Kurt's death in 2013, along with his mom, sister and fiancé The Kurt Caselli Foundation was established in his memory with the mission of “Protecting And Supporting The Lives Of Off-road Riders”. To date the Kurt Caselli Foundation has raised over $800,000 and set’s it’s goals on providing safety in 3 areas. -Race Course and Race Safety Prior to event. We also give away two scholarships per year to athletes that are looking forward to the next chapter in life in school. 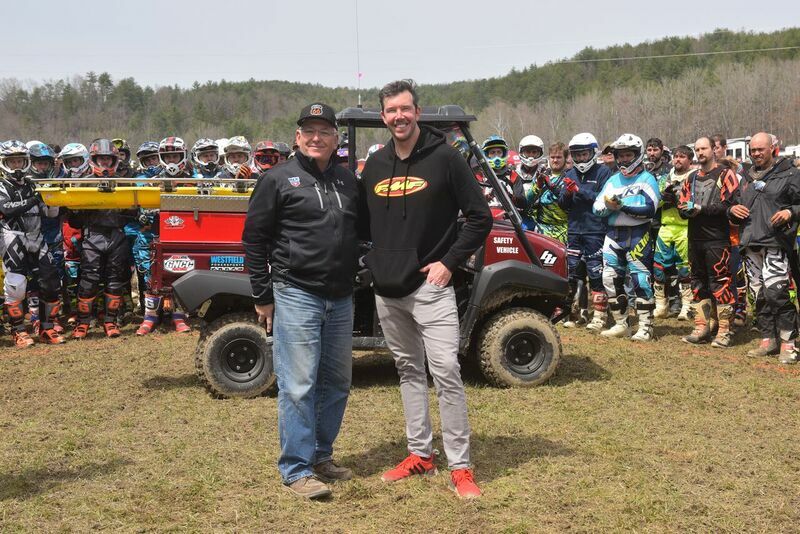 Our latest initiative was donating this Kurt Caselli Safety Vehicle to the GNCC Racing Series to help medics get to riders quicker. -S.O.S Back Board insert to quickly secure the rider. While all the trails in Hungry Valley are clearly marked as Beginner, Intermediate or Advanced; they each have character all their own! I have put together some recommendations to help you navigate the park and make sure each rider has a great time! Check it out!